On 20 August 1991, the Royal Mail issued a set of five commemorative postage stamps depicting the skeletons of various dinosaurs. It also produced in association with this set a First Day Cover (FDC), released in Inverness on that same date, and shown above in this present ShukerNature blog post. 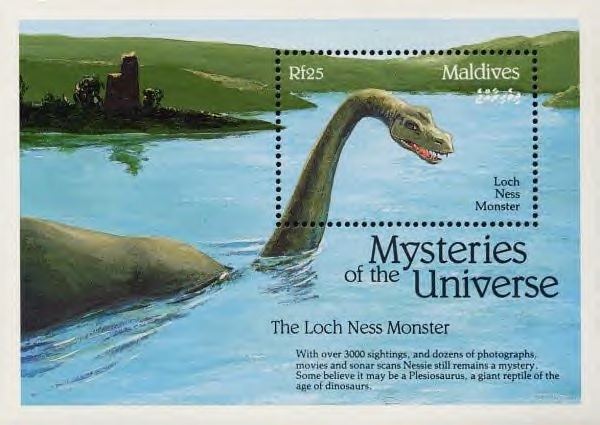 As can be seen, this FDC features not only all five dinosaur stamps but also a beautiful full-colour illustration of Nessie, depicted in her most popular, plesiosaurian reconstruction and headed ‘The Monster of Loch Ness’. I’m not at all sure what palaeontologists must have thought about cryptozoology’s most controversial megastar sharing equal billing with the likes of such dinosaurian celebrities as Iguanodon, Stegosaurus, Tyrannosaurus, Protoceratops, and Triceratops. However, worse – at least for them – was still to come. The FDC also bore two ornate circular franks, both of which took the form of Nessie as a plesiosaur encircled by the words “The Last Dinosaur? The Loch Ness Monster”. Now, as any schoolboy dinosaur enthusiast would be quick to point out, plesiosaurs were definitely not dinosaurs, belonging instead to an entirely separate superorder of prehistoric reptiles, Sauropterygia. 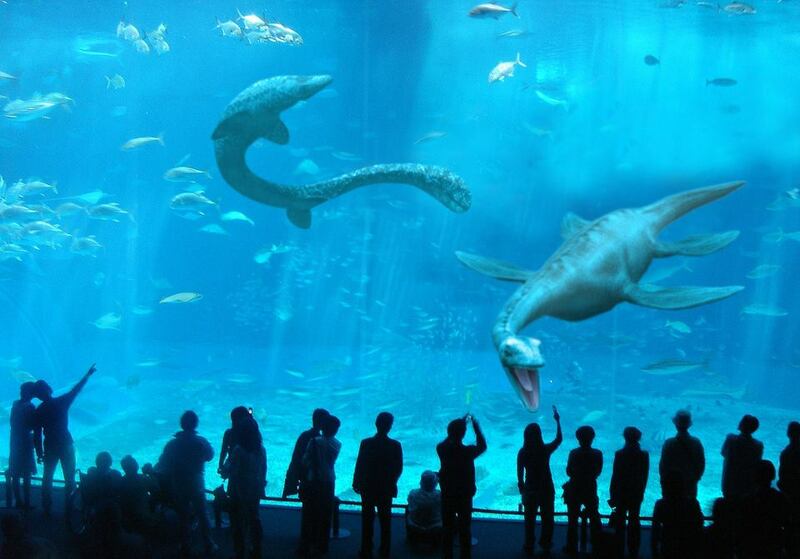 So even if Nessie does exist, and is a living plesiosaur, she is certainly not the last – or indeed any other – dinosaur. Never mind. This taxonomic tribulation was more than compensated for in my eyes when, after being fortunate enough to stumble upon and duly purchase one of these highly attractive FDCs at a collector’s fair several years ago, I discovered to my delight that it had been personally signed by none other than veteran Nessie investigator Adrian Shine, alongside a blue-lettered frank that read: “Carried aboard the research ship Ecos on Loch Ness in the search for Nessie and signed by the project leader Adrian Shine”. All in all, a perfect addition to the collection of any cryptozoological philatelist! 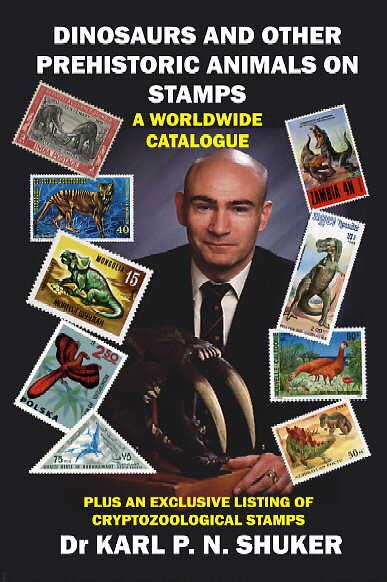 For details of many additional cryptozoologically-themed postage stamps, check out my book Dinosaurs and Other Prehistoric Animals on Stamps: A Worldwide Catalogue (2008), which includes a special appendix listing every cryptozoology stamp that had been issued prior to this book’s publication.